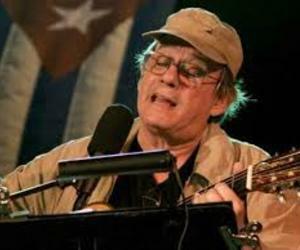 A little-known facet of the singer Silvio Rodriguez, his penchant for photography, is presented in an exhibition with snapshots of his concerts in neighborhoods throughout Cuba. “Images from neighborhoods” is the theme of the sample with 21 photographs taken by the musician. "I've been fortunate to be in circumstances very beautiful, dramatic and sometimes terrible places. It is the raw material from which are made these images," Silvio said at the opening. It is another graphic testimony of an adventure that began in September 2010 in the Havana neighborhood La Corbata, beginning of what he calls his "endless tour," high socio-cultural impact. Silvio is known for his songs, but as young worked as a cartoonist, a job that taught him to achieve favorable frames and poetry trained his eyes to see beyond the obvious. Thus, his camera captured a humble people listening concert from the roof of a building and loved ones who are no longer, as the troubadour Santiago Feliu. “Images from neighborhoods” will be open to the public until January 20 at the Alliance Francaise.